What is Greater Manchester i-THRIVE? The Greater Manchester i-THRIVE (GM i-THRIVE) programme uses the THRIVE Framework (Wolpert et al., 2016) to improve mental health outcomes for the children and young people of Greater Manchester. 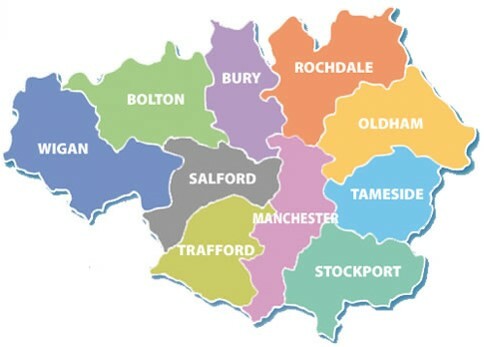 The GM i-THRIVE team works with each of Greater Manchester’s 10 Local Transformation Partnerships (LTPs) and the GM Future in Mind Implementation Group to enable the delivery of the Greater Manchester Children and Young People’s Mental Health Transformation Programme. We are developing close relationships with provider and commissioning networks, identifying a range of local implementation leads and supporting the creation of “THRIVE informed” local teams. Over a three year period the GM i-THRIVE team will provide training across the sector on learning and development modules which have been created to deliver key competencies required to deliver care in a THRIVE-like way. The GM i-THRIVE team will coach local leads through a THRIVE informed transformation process and work flexibly to understand each locality’s needs and requirements. We draw from both the resources in the i-THRIVE Toolkit and the expertise within the National i-THRIVE Programme Team in order to provide each LTP with a tailored package of support. 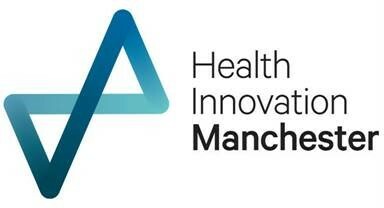 The GM i-THRIVE programme team is hosted by Manchester University NHS Foundation Trust. We are based across Central and South Manchester hospital sites. You can contact us on: gm.thrive@mft.nhs.uk. To implement the THRIVE Framework across Greater Manchester we are working with the national i-THRIVE Programme team which is a partnership between the Anna Freud National Centre for Children and Families, the Tavistock and Portman NHS Foundation Trust, The Dartmouth Institute for Health Policy and Clinical Practice and UCLPartners. Our GM i-THRIVE Community of Practice is a forum that enables shared learning, discussing common issues, and innovations across our 10 localities. The GM i-THRIVE Community of Practice is currently held twice a year, and details of all upcoming events will be shared on this page. To join the GM i-THRIVE Community of Practice mailing list, please contact: gm.thrive@mft.nhs.uk. Our digital collaborative space allows for easier sharing of information between members of the GM i-THRIVE Community of Practice. We have developed areas in which you can download all paperwork from previous GM i-THRIVE meetings and events, view case studies, and load your own documents in order to share THRIVE-like working across GM. There are also forums in which you can communicate with others working on implementing the THRIVE Framework, and start any debates on THRIVE-like working. The space has been originally developed as a Models of Care portal by the South West Academic Health Science Network and we are helpfully being supported with it by Health Innovation Manchester. All members of our community of practice are welcome to join the collaborative space. Simply give us an email if you would like access: gm.thrive@mft.nhs.uk. For any questions or to share information about your own THRIVE event, please contact us. These case studies provide examples of how different localities in GM i-THRIVE have approached implementing the principles of the THRIVE Framework (Wolpert et al., 2016).